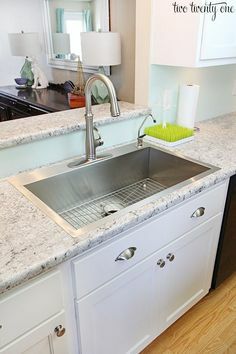 A single sink give you ample room to get work done, and that’s the number one reason they remain a popular choice in kitchen remodeling. Large tasks like washing a roasting pan are so much easier in a generously sized single sink than in a double sink. 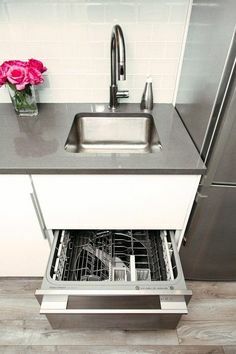 With a few accessories such as a dishpan, drying rack or colander, multi-tasking is certainly an option too. 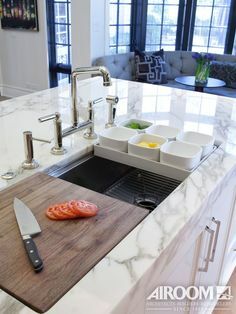 This is one of our popular Pinterest pages with pictures and links that inspire and inform as you look for ideas about which sink is the perfect fit for your kitchen. Whether you’ve got a job that’s small or large, we can put you in touch with the top installers and kitchen remodeling pros where you live. When you fill out one simple form, you’ll receive written estimates from three of the best kitchen contractors in your area. These screened, experienced remodelers know that they’re competing for the work, so they provide their best estimates. There is no cost to you for the estimates, and absolutely no obligation.